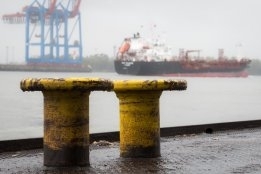 The possibility of a global bunker supplier licensing scheme has moved a step forward with the International Maritime Organisation's (IMO) revelant committees examinining the issue. At present, parties to MARPOL Annex VI are required to maintain a register of bunker suppliers. However, the emergence of a multi-fuel environment post-IMO 2020 has highlighted the need for a licensing scheme. Developing a scheme, which is to be considered by the IMO's Marine Environment Protection Committee (MEPC), has the support of the International Bunker Industry Association which told another IMO body, the Marine Safety Committee (MSC), that such a scheme would "help promote a level-laying field for suppliers that adhere to best practices". A circular from the two committees will be developed calling on member states to take appropriate action to ensure that fuel suppliers under their jurisdiction deliver compliant fuels.